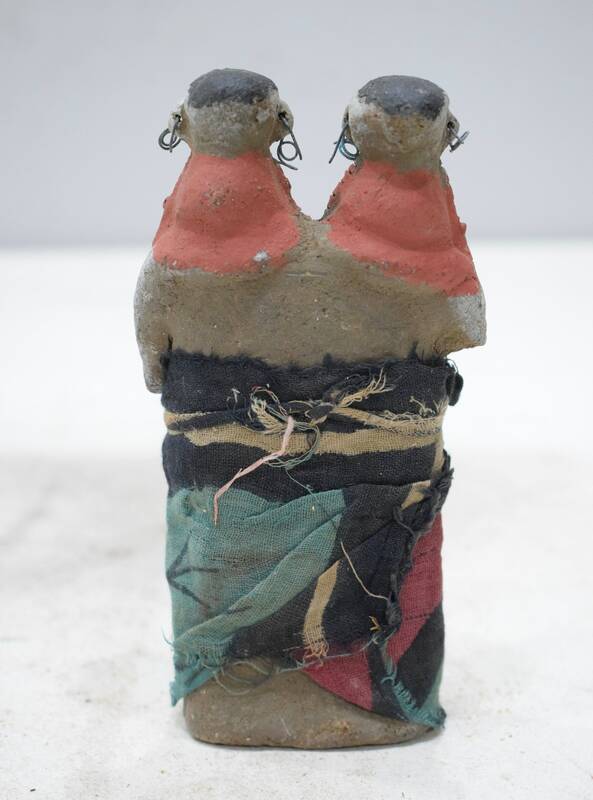 This is a Vintage African Samburu Standing Figure of Two Female Mud Dolls Wrapped in Fabric from Kenya. 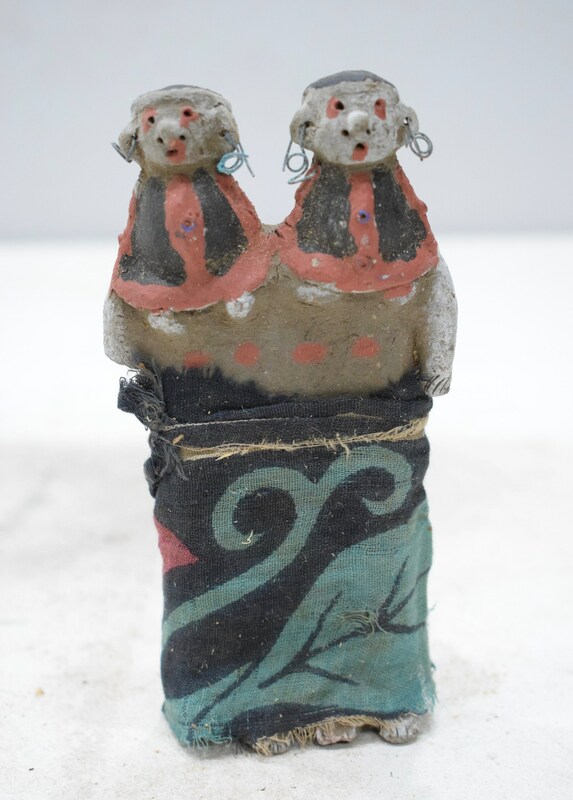 These 2 women figures are crudely, but uniquely made with unbaked grey clay, a small ovoid head with red coloring, modeled nose, deeply punched holes for eyes, nostrils and mouth; with pierced ears and coiled wire earrings. The necklace rests on large, applied clay circular collar with cape-like extension over shoulders, with all with red coloring and very small glass bead embedded in center of collar and wrapped in fabric. It is played with by girls in other groups, such as the Masai, as well. "Ngide," the name of several types of doll, means child, which indicates the doll's significance as a wish for fertility. This female clay doll is so unique and would be wonder to display in your home or add to your collection. Shows some age, but overall in good condition.